Who’s ready for the big football re-match? Midland Dow and Midland High will meet again this Friday, Nov. 8, in the second round of high school football playoffs at 7 p.m. at Midland Community Stadium. And once again, Essexville Electric is making sure you don’t miss the big game. We are sponsoring the televised broadcast of Friday’s game, and you can watch it on MCTV. 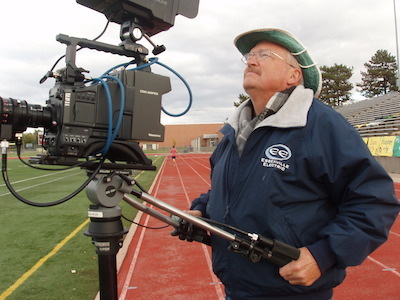 Essexville ElectricQuality Control Manager Dennis Caney will be there again volunteering as a camera man and ensuring you don’t miss a play. Click here for channel and broadcast information. Good luck, teams!